Below you can view all the homes for sale in the Aspendale Silverado subdivision located in Las Vegas Nevada. 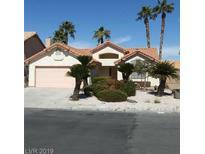 Listings in Aspendale Silverado are updated daily from data we receive from the Las Vegas multiple listing service. To learn more about any of these homes or to receive custom notifications when a new property is listed for sale in Aspendale Silverado, give us a call at 702-323-5939. Large rear patio. Garage has exterior keypad. MLS#2088411. BHHS Nevada Properties. We May Be Able to Have Them Sign New Lease Agreement. Rent is $1375 per Month. MLS#2082685. Realty ONE Group, Inc.
Conveniently located next to shopping, restaurants & freeway. 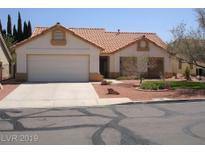 MLS#2080536. GK Properties. Good sized covered patio and the SPA in back yard is included.Water softener in garage not hooked up.Yard is very low maint. front and back. MLS#2079724. Ruthe Realty. Conveniently located next to shopping, restaurants & freeway. MLS#2078655. BHHS Nevada Properties.